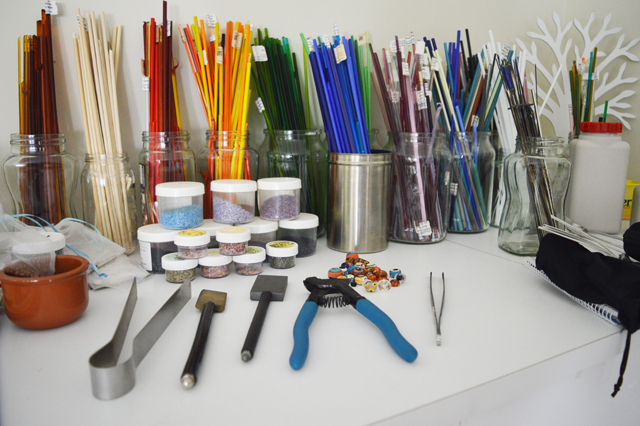 Whether you love making things, admire the artistry of glass beads or just enjoy finding out how things are made, this workshop is for you. 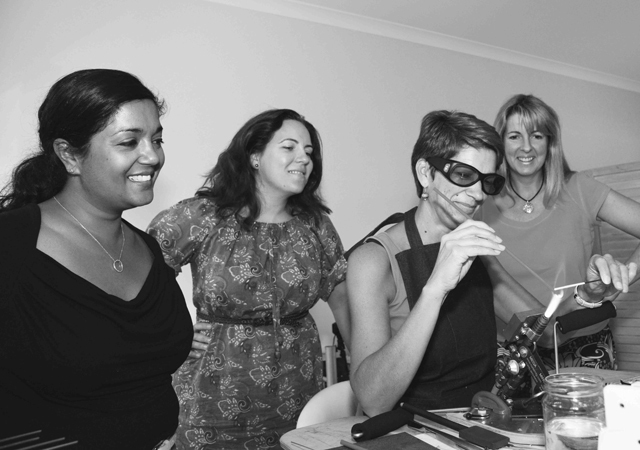 Join Hilary from Jocale Design in a hands on workshop for glass beadmaking where participants will watch beads being made and then make some themselves to take home and enjoy. This workshop is divided into two sections. In the first section you will be given an introduction to the art of glass bead making, along with a demonstration tutorial explaining how to work with glass to create your own masterpieces. After a break for morning tea, each participant will be given a turn at the torch. This will be a one to one session, where the rest of the group will be free to watch, relax or simply soak up the atmosphere. All materials are included in the cost of the workshop. You will take home the beads that you make on the day. There are lots of dates to choose from or you can get a group of four or more together and make your own date to learn from Hilary. Hilary Tillin is a Brisbane based glass artist who specialises in making beautiful art glass beads. 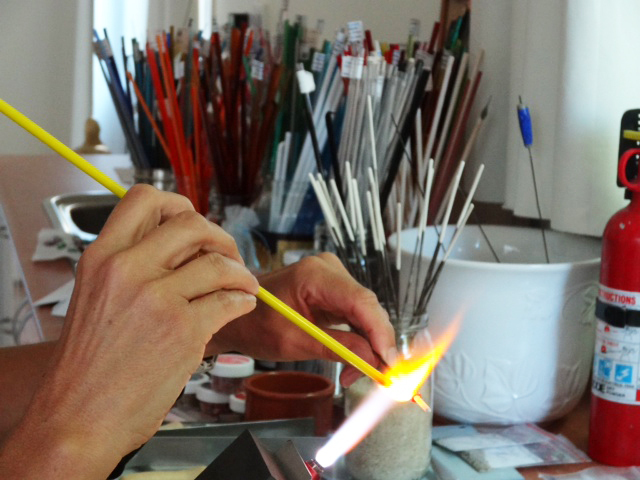 Using a torch flame & quality Moretti glass, she creates beautiful beads which are sold around the world. Hilary is a Self Representing Artist in Jewellery Design (SRAJD) and has been making art glass beads for 5 years and her work has been featured in the UK Glass Beadmakers Journal and more recently in Australia's Creative Beading Magazine.